I met Katie Grossman in middle school. Back then we didn't talk because I was too busy pretending to read books about Marilyn Manson and she was to busy being cute and having friends (wtf). Luckily we made up for that in High School, where we bonded over similar tastes in terrible haircuts and boys. We also passed each other lots of notes and talked about becoming vegan. Anyway, yall can imagine how happy I was when I realized she would be frying my scalp today for four hours at Mina's Studio. She's doing more on Friday and again in three weeks so hopefully by the time I'm back in Milan I'll resemble fluorescent lighting. Till then I'll keep yall updated on my progress/if my hair falls out. 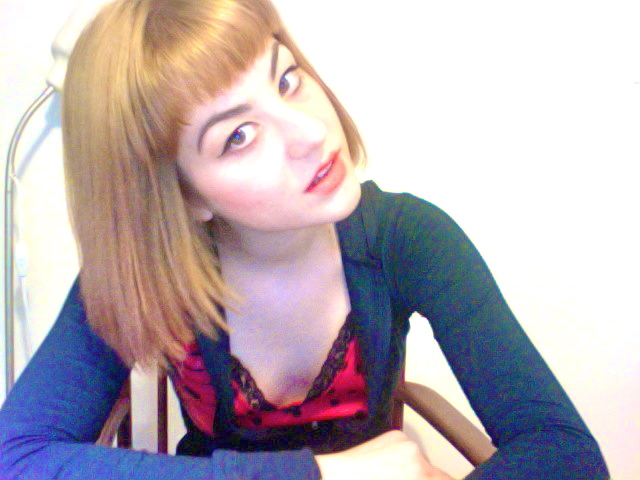 Being voraciously blonde is so titillating. It make's up for any other imperfections that you may have (not saying you do), because everyone's looking at YOUR HAIR! I bleached my hair two years ago now I'm almost bald :( be careful!